After brushing aside challenges from Australia and New Zealand in white-ball cricket, the Indian team now awaits its neighbours from across the Indian Ocean. Sri Lanka will soon be in India for a Test series which will be followed by a limited-overs assignment. It is worth remembering here, that the very same Indian side walloped the Lankans in their own backyard just a couple of months ago and hence this series, in many ways, can be their redemption. Sri Lanka are coming to India after having stunned Pakistan 2-0 in the Test series in Abu Dhabi and hence this series could assume a different complexion if they decide to put their best foot forward. This series also provides the Indian team with an opportunity to test the depth in their domestic set-up and with a long overseas season coming up, several untested players should be given a spot in the Test line-up. The young quick from Hyderabad has made several heads turns in the recent past with his pace in domestic cricket. 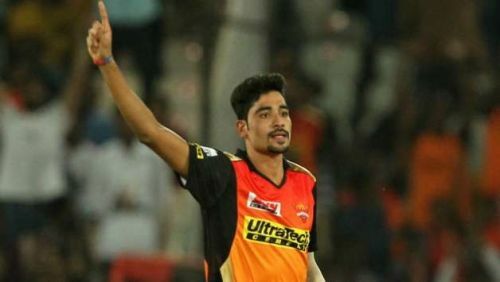 After having bagged a lucrative contract with the Sunrisers Hyderabad last season, he has made sure he has put in the hard yards in Ranji Trophy. In nine matches last season, Siraj picked up 41 wickets. In the single match he has played this season, Siraj picked up four wickets. The selectors rewarded him with a spot in the T20 squad for the series against New Zealand, but he could be a good prospect with the red ball and should be given a go in the upcoming series.